A Power of Attorney is a written document in which a person, also known as the Principal, appoints another person, also known as the Agent, to act on his or her behalf. This appointment is mainly done with respect to private affairs, business and other court-ordered matters. The Power of Attorney expires with the death of the taxpayer (Principal) or if the representative (Agent) revokes it. People normally opt for a Power of Attorney for medical or financial reasons. 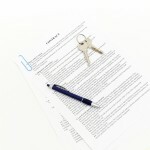 In the state of California, there are four different types of Power of Attorney. In this case, a person can act in place of another individual to fulfill a particular duty. On completion of the specified responsibility, the Power of Attorney becomes void. A person can act in place of another for financial decision making. This type of Power of Attorney remains valid even if the Principal becomes incapacitated. A General Power of Attorney is similar to a Durable Power of Attorney, however, the former stands void if the Principal becomes incapacitated. In such a Power of Attorney, the Agent is authorized to take all the medical decisions for the Principal. While choosing your representative, be very careful and opt for a person ideally from your family whom you trust completely. Ensure that he or she will represent you with total integrity in all situations. Once you have chosen your representative, the next step is to fill all the necessary forms and documents. You can do this on your own or you can hire a legal document preparation service. Such legal professionals will complete the job in an efficient and timely manner. A Power of Attorney form in the state of California becomes valid only after it is authorized by a public notary. You can find a public notary at any commercial bank. The last step to complete the process of getting a Power of Attorney is to notify the court. Make sure you keep the forms safe for future use.